Aquator is an iPhone game developed bySoftware Solutions & Technologies AG. 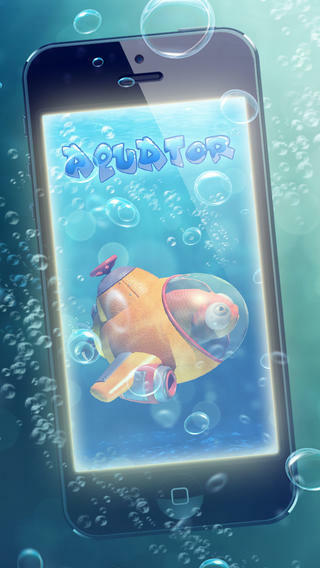 Boasting some seriously kooky graphics and fun gameplay, Aquator is a great little freebie. The character designs that greet you on the Aquator home screen are half Cthulu, half 80s Saturday morning cartoon character. In other words, they’re awesome. 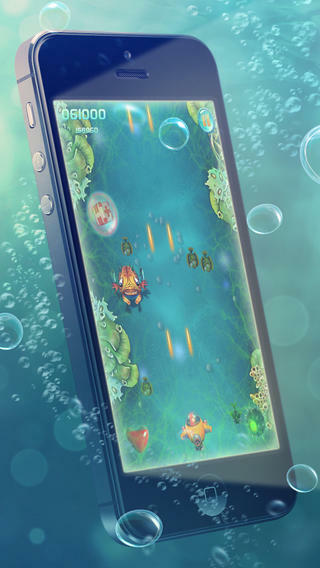 In Aquator, you drive an underwater vessel across a narrow path. Your vessel is firing all the time, and you must blast through enemy fishlings. The controls are very simple. Tilt the device from side to side to move, and tap to unleash the power of the nuke and blow up all of the enemies on the screen at once. One thing I didn’t particularly like were the constantly shifting banner ads at the top of the screen. They were quite distracting. Still, for a freebie, you have to expect such minor annoyances. Still, I hated the end-of-round popups, because they blocked me from seeing my points and kill stats right away. Overall, however, Aquator is a ton of fun. The controls are simple, but the game manages to remain devilishly challenging. It’s the perfect game for passing the time while waiting for the bus, or unwinding at the end of a rough day. 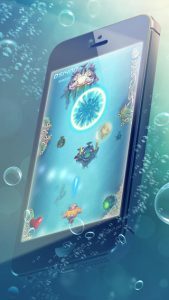 You’ve probably played a lot of games with mechanics that are similar to Aquator. But I believe that this game still manages to be fun, even if the mechanics aren’t particularly novel. Aquator is compatible with iPhone 3GS, iPhone 4, iPhone 4S, iPhone 5, iPod touch (3rd generation), iPod touch (4th generation), iPod touch (5th generation) and iPad. Requires iOS 6.0 or later. This app is optimized for iPhone 5.